Individuals who develop liver injury due to consumption of herbal and dietary supplements (HDS) have an elevated risk of progressing to acute liver failure compared with those whose liver injury is associated with consumption of anabolic steroids or conventional medications, according to findings from a small Spanish study. “[HDS]-induced liver injury is more severe than other types of [drug induced liver injury (DILI)] and re-exposure is more likely. 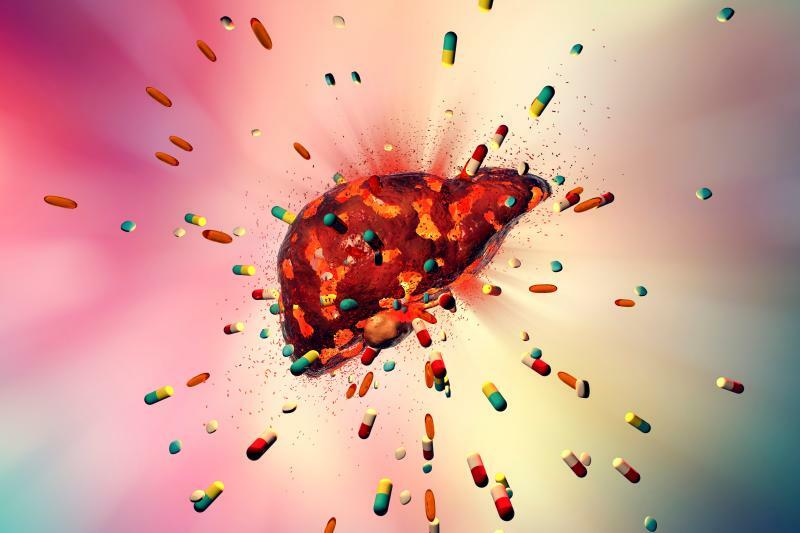 Increasing awareness of the hepatotoxic effects of [HDS] could help physicians make earlier diagnoses and reduce the risk of serious liver damage,” said the researchers. Of the 856 cases of DILI listed in the Spanish DILI registry between 1994 and 2016, 3.7 percent (n=32) were related to HDS consumption, 2.3 percent (n=20) to anabolic androgenic steroids, and the remaining 804 cases to conventional drugs. While most of the cases were due to multi-ingredient products (63 percent), the most common single ingredient in HDS-related hepatotoxicity was Camellia sinensis, identified in 25 percent of cases. Conversely, patients with HDS-induced liver injury had fewer comorbidities than those with conventional medicine-related liver injury. Patients with HDS-induced liver injury had mean alanine transaminase levels 37 times the upper limit of normal (ULN) and mean aspartate aminotransferase levels 30 times the ULN, while 28 and 78 percent had hypersensitivity features (ie, fever, rash, serum eosinophilia, lymphopenia, or arthralgia) and jaundice, respectively. The most common type of HDS-related liver damage was hepatocellular, occurring in 94 percent of patients. Sixty-three percent of patients with HDS-induced liver injury (n=19) required hospitalization. “Hepatocellular type of liver damage, higher aminotransferase levels, and normal/low peripheral eosinophil have all been associated with a higher risk of a severe outcome and could be the reason for the higher risk of [acute liver failure] in this group of patients,” said the researchers. Relapse of liver injury due to repeat exposure to the drug related to the first DILI episode (re-challenge) was also more common among patients with HDS-related liver damage (9 percent) compared with those with anabolic androgenic steroid- and conventional drug-related liver injury (0 and 6 percent, respectively). A majority of patients with HDS-induced liver injury took the medications for weight loss purposes (47 percent). 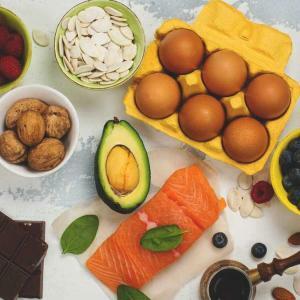 “Increased public awareness regarding obesity-related health problems, along with the social pressure concerning body image, has given way to complementary and alternative medicine, including HDS, as weight loss shortcuts,” said the researchers. “In many countries, HDS are classified differently from conventional pharmaceutical products, and as such escape regulations applied to the latter group in terms of efficacy and safety testing,” said the researchers. “Although there is considerable evidence supporting health benefits of herb-containing products, they are not exempt of adverse events including liver damage,” they said. 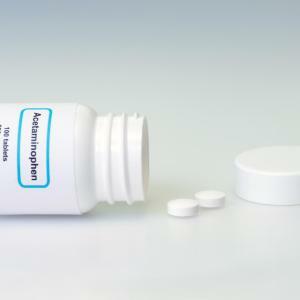 “This study … highlights the importance of identifying all medicinal products, prescription drugs as well as HDS products, taken by patients who develop liver abnormalities. An initial suspicion of DILI, correct diagnosis, and reporting of DILI cases will lead not only to correct treatment options and improved outcomes, but will also reduce the risk of re-challenge and its consequences,” concluded the researchers. “The irony is that some of these supplements actually work as some contain real medicines which are adulterated. For example, some herbalists … control asthma well by giving patients steroid-containing medicines. The problem is that as with any medicine, steroids come with side effects,” he said, mentioning that patients may not be informed of the side effects by the herbalists. Unfortunately, HDS-related liver injury is not easily detected, said Wai. Many patients do not tell their doctors that they are taking supplements. Some patients also have the misconception that herbal medicines are not ‘real’ medicines and as these supplements claim to be natural, they must be safe and not cause side effects. 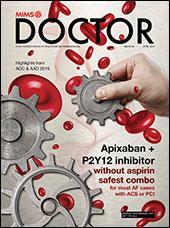 According to Wai, doctors play an important role in preventing DILI. “We should discourage the public from taking supplements unnecessarily [and] educate our patients that contrary to their claims, herbs or supplements are not harmless. We should also routinely ask if our patients are on any supplements from unreliable sources,” he said.